EDUCATION MINISTER RUAIRÍ Quinn has said that Rehab board member and Fine Gael strategist Frank Flannery would have spoken to him about concerns regarding State funding to the charity for its lottery scheme “but not in any kind of lobbying way”. Quinn also told RTÉ Radio this morning that he would see Flannery walk past the ministerial offices in Government Buildings “the odd time with usually Fine Gael advisors” before Cabinet meetings on a Tuesday. “I would be in there at, say, 8.30 in the morning on the day of a Cabinet meeting and I would meet him or I would see him walking past the odd time with usually Fine Gael advisors, and I would have greeted him,” he told Keelin Shanley on Today with Seán O’Rourke this morning. Quinn would not be drawn on Flannery’s position as a strategist for Fine Gael saying that was a matter for the party and noting that Flannery had been active in politics “for as long as I remember”. “I don’t know all the facts. I understand he has been invited to the Public Accounts Committee,” he added, noting that all charities in receipt of State funding – Rehab got some €82 million last year – have to be answerable to the PAC as the public spending watchdog. Earlier, Kathleen Lynch, a Labour party minister, was speaking on RTÉ’s Morning Ireland when she said that her “personal opinion” was that Flannery’s position is untenable though it’s unclear whether she was referring specifically to his membership of the Rehab board or his position in Fine Gael. Flannery, a former CEO of the Rehab Group, has come under pressure in recent days in the wake of a story in the Irish Times which said he was paid thousands of euro by Rehab to lobby government departments in 2011 and 2012. He has been called to appear before the Public Accounts Committee to answer questions about his membership of the Rehab board, his consultancy work for the disability organisation and his pension arrangements. He was reportedly seen in Leinster House as the charity’s current CEO Angela Kerins and other Rehab executives were giving evidence at the PAC last week. A report in the Irish Independent this morning suggests he may now quit the board of Rehab. When asked if his position is untenable, Lynch said: “I suppose you are asking me a personal opinion and in my personal opinion then it’s not. Email “Quinn: I’d see Frank Flannery walking with Fine Gael advisors before Cabinet meetings”. 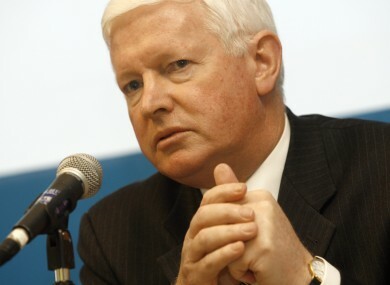 Feedback on “Quinn: I’d see Frank Flannery walking with Fine Gael advisors before Cabinet meetings”.